Got this for my Kimber Ultra Carry II, and its a great fit with adding an extra round. 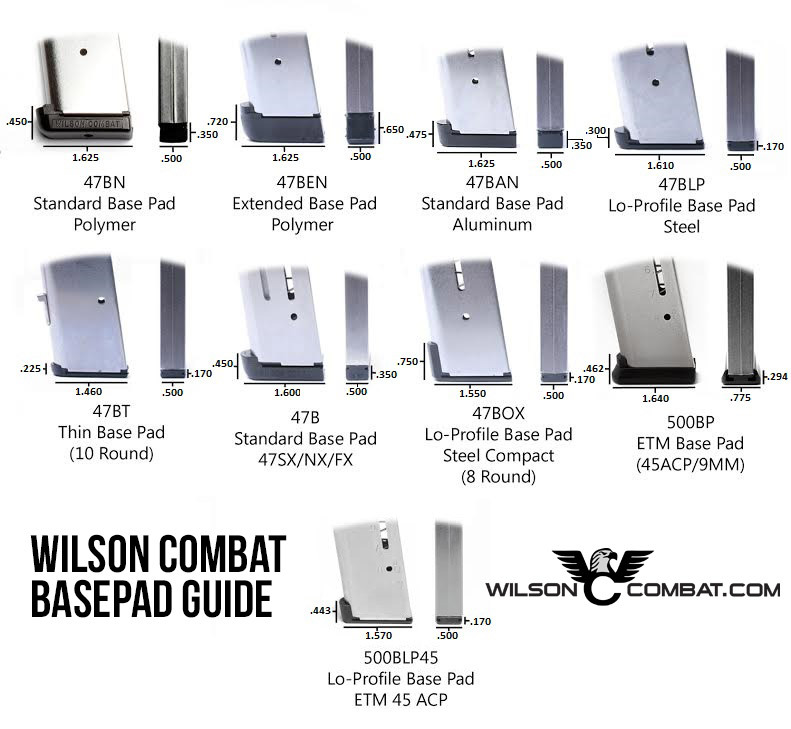 I utilize ONLY Wilson Combat magazines in my 1911s. They are the only ones that I will trust my life to. That being said, it was odd to see a WC magazine without a fiber-fill nylon follower. These magazines have metal followers ... like all the other after-market magazines and even those from the manufacturer. I would prefer to see the fiber-fill nylon follower because I feel that it functions so much smoother. So far these magazines have functioned properly and are built with high WC quality. I really like these new magazines and the metal follower. I also like the 9 round capacity and the ETM base pad. These work great in my CQB compact with speed chute/magwell. I will be buying more of these. You can never have too many magazines. Highly recommend to anyone.